Ar an 4 ú la de Mhárta 2016, ghlac páistí ó ranganna 3 agus 5 páirt in aithriseoireacht filíochta ar son na Modh Scoile don chéad uair le roinnt mhaith de bhlianta. Bhain gach duine a ghlac páirt an-taitneamh as agus chuidigh sé go mór lena misneach. Bhain said caighdeán an-ard amach agus thuill siad ard mholadh ón bhféitheoir. Comhghairdeas do gach páiste a ghlac páirt agus do na múinteoirí a d’ullmhaigh iad don lá. Maith sibh! 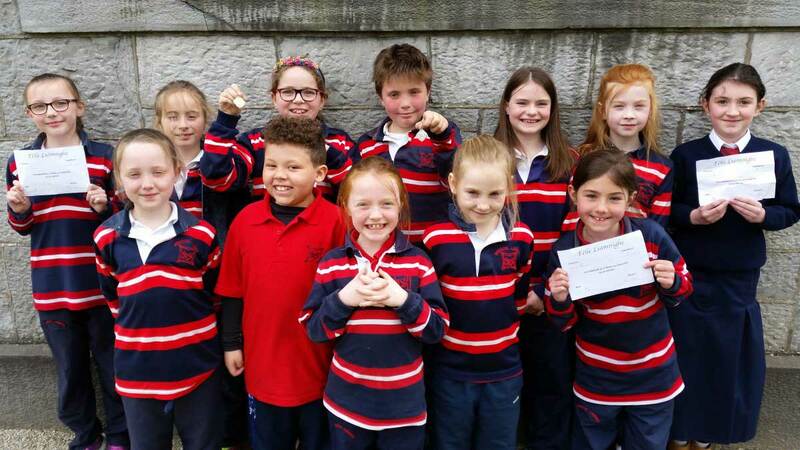 After a break of many years, pupils from 3rd and 5th class took part in Féile Luimnigh representing An Mhodhscoil on 4th March in Irish Poetry Recitation. All children who took part enjoyed it and it was a great confidence boost for all participants. All entrants reached a very high standard and performed very well. This was mentioned afterwards by the adjudicator in his comments. Congratulations to all who took part and to their teachers who prepared them so well. Well done all!